Today our lives have become busier, fuller and more hectic, but I believe that even with our hectic lifestyles, health and well-being is achievable and accessible. 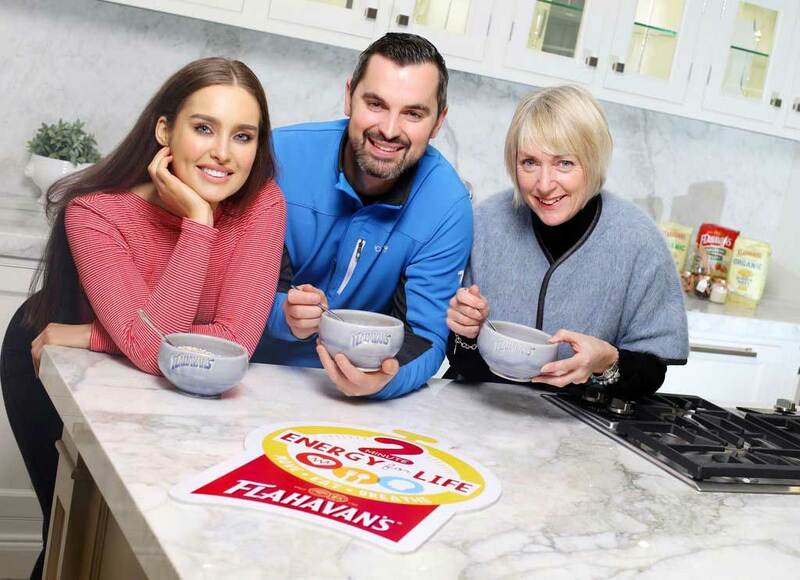 Flahavan’s Porridge has teamed up with me, Rozanna Purcell and Suzanne Donohue to launch their 2 Minute Energy For Life campaign. Shake off your winter blues, put a spring in your step and celebrate with Flahavan’s Quick Oats, taking just 2 minutes to Move – Eat – Breathe for a healthier mind and body. I am delighted to be involved in this campaign with Flahavan’s. I’ve written before about how much I love my porridge and believe in the health benefits associated with porridge. I’m not the greatest cook so oats are a brilliant way to make something easy and nutritious and something that sets me up to train better. Over the next three weeks across Flahavan’s social media channels, we will be bringing you two minutes of quick and effective ways to energise your day. I will be outlining a program of two minute step by step exercises. Rozanna has created and filmed delicious two minute recipes incorporating Flahavan’s Oats. And mindfulness coach Suzanne has two minute mindfulness meditations which have been recorded exclusively for the campaign.